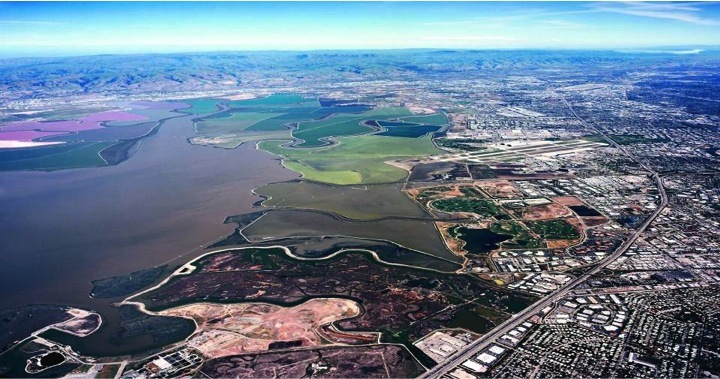 South San Francisco Bay Shoreline Project, which reduces tidal flood risk by constructing a new levee along the South San Francisco Bay Shoreline and restores approximately 2,900 acres of former salt production ponds to tidal marsh habitat in the Alviso Pond Complex along the Bay. The $3.4 billion Tunnel and Reservoir Project in Chicago, which protects over 3 million homeowners and businesses from the ravages of flooding while safeguarding Chicago’s drinking water source, Lake Michigan, has been transformational. This stunning success story attracts international attention and has laid the foundation for a healthy and vibrant Chicagoland. In order to provide early flood protection to the half of a million people in 14 communities on Chicago’s South Side, MWRD advanced this project for the Corps of Engineers providing $40 million per year in benefits, while providing water quality improvements to the waterways. Going online in 2016, MWRD unveiled its ultraviolet (UV) radiation system at its O’Brien Reclamation Plant, now the largest wastewater treatment UV installation in the world, dramatically improving the quality of the water throughout the Chicago Area Waterway System, while protecting the region’s drinking water supply in Lake Michigan. This multi-purpose project located in a desert setting in Southern California not only provides over 4 miles of channel improvements for more natural flood protection, but it also includes a 270-acre basin dedicated to flood protection, environmental restoration and recreation. 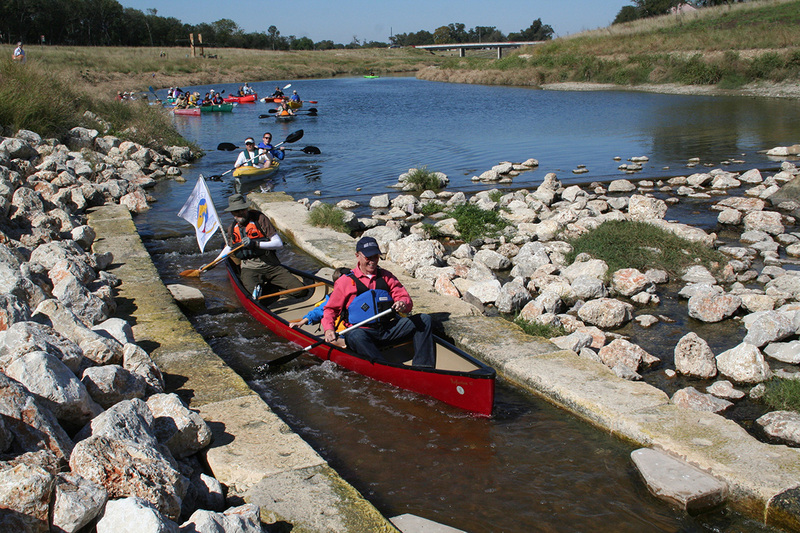 San Antonio’s Mission Reach Ecosystem Restoration Project, the natural extension of the River Walk, which restores 8 miles of the San Antonio River channelized by the Corps decades ago now creates a natural watercourse connecting the historic Spanish Missions to the waterway and providing a living river corridor and resource for families in an underserved community. The O’Connell & Dempsey team is considered one of Washington’s leading experts in working with the Corps of Engineers. Our principal, Mia O’Connell, has worked closely with the Corps of Engineers from the Corps’ Districts up through the Assistant Secretary of the Army’s office for close to 30 years on some of the most iconic and successful projects across the country, including: the Chicago Tunnel and Reservoir Project, the Napa River/Napa Creek Project, the San Antonio Mission Reach Project, the Los Angeles River Ecosystem Restoration Project, the Hamilton Airfield Wetlands Project, and the Poplar Island Ecosystem Restoration Project. Not only do we help shape and secure innovative projects and key federal funds, but we also help negotiate Project Partnership Agreements (PPA’s), develop amendments to agreements, and secure approvals for Contributed Funds Agreements, Accelerated Funds Agreements, Chief of Engineers’ Reports, Feasibility Cost Sharing Agreements, Credit Agreements, and reprogrammings. Further, one of the biggest areas of client need and the arena in which we have had tremendous success is in Corps’ appropriations and Work Plan funding. Since funding earmarks for projects was banned by Congress a number of years ago, the funding responsibility for individual Corps’ projects has been transferred to the Corps’ agency, itself. Working to ensure a sponsor’s project secures sufficient funding to keep it on schedule takes a different set of skills, contacts, and expertise entirely. Because of our longstanding and high-achieving success in moving projects forward within the Corps’ system, we are extremely well-positioned and have been very successful for our clients in securing significant amounts of federal funding in the Corps’ Work Plan and Budget processes for their projects. Beyond the federal agencies, in addition to the Executive Branch, a major asset of the firm has been our principal’s outstanding relationships with key decision makers and knowledge of Capitol Hill, its rhythms, and processes. Ms. O’Connell has been involved in many of the more significant and groundbreaking projects Congress has tackled over the last several decades through its authorization and appropriations processes in the water resources and environmental arenas. With her engagement in every Water Resources Development (WRDA), since the landmark 1986 WRDA, Ms. O’Connell has been involved in unique and watershed project authorizations and related appropriations, which in many cases, chartered a new course for the Corps and federal agencies. On the forefront of local sponsor initiatives in WRDA and other arenas, Ms. O’Connell has been involved in empowering local communities to advance features and in some cases, whole projects, ahead of the federal government. Congressional delegations have come to rely on Ms. O’Connell and her team to help shape the best legislative solutions for their communities. We work closely with the Department of Interior, Environmental Protection Agency, Department of Agriculture, and the Department of Transportation in addressing our clients’ needs. We cover a wide range of issues from endangered species to wastewater treatment. We are very different from most lobbying firms in that we work closely with our public agencies as they deal with their federal agencies’ Headquarters and regional offices around the country to make sure that the project or study that the community or entity wants is described and handled properly with all key elements and appropriate cost-sharing in the project documents and approvals are in place, as the project moves through the federal bureaucracy. We are expert at federal processes, procedure, guidelines and law, so that we can be an in-house expert for our clients. We assist local sponsors to be the most aggressive and effective advocates they can be for their projects. And we have a tremendous track record to prove it. Within the Executive Branch we work closely with the Office of the Assistant Secretary of the Army (Civil Works), the Council on Environmental Quality, the Office of Management and Budget, and the White House. For many of our high-profile projects, in order to secure the best cost-sharing arrangement, or to seek a high level of funding or to make the case for a unique solution, we need to work the issues at the highest levels of the Executive Branch and we have done so very successfully.